Taking the path of least resistance is normal human behavior, and it makes sense because it's all about efficiency of effort. Why pinch and zoom your way around a website when there are so many other mobile friendly websites that don't put you through such an inconvenience? The extra effort requires greater focus, is distracting, and slows you down. A seamless experience is important to people who are multitasking their online activities with their offline activities. For evidence of this, you need only look around you. 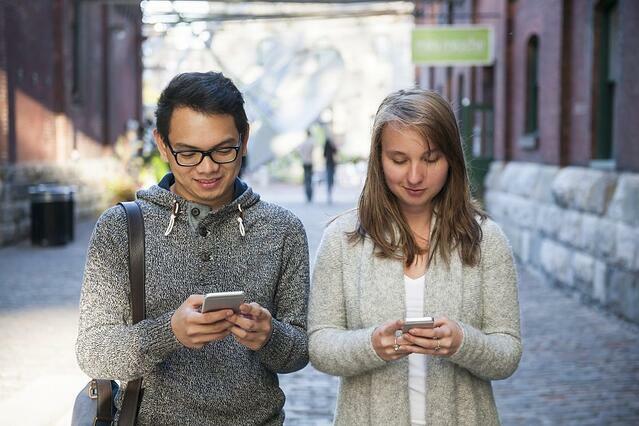 People walk around on sidewalks and in stores with a fixated focus on their mobile devices. Some unwisely do it while driving. The reason for this fixation is that our lives have become increasingly integrated with the Internet. We use the Internet to shop, find local businesses, give us directions, and get advice for important decisions. A mobile device is always carried on one's person. On the other hand, the desktop computer is not. Just as it's inconvenient to walk to a phone booth (assuming any still exist) to make a call, so is delaying purchases and decision-making until getting home to a desktop computer. There is also a sizeable part of the population who don't even own a desktop or laptop computer. A mobile friendly nonprofit website is accessible to these people around the clock. This allows people to make spur-of-the-moment donations wherever they happen to be. This is how most of our decisions are made. We tell ourselves we should make a donation or do some other online activity, but if something else distracts us, the decision is forgotten until the next time the thought crosses our mind. Mobile friendliness is an important ranking factor in Google. The search engine giant is aware of the rise of mobile traffic, and understands that user experience is important in remaining relevant as a search engine. Therefore Google is motivated to rank websites that provide the best possible experience to its visitors. A website that requires pinching and zooming is not a good experience. Keeping or increasing your traffic levels requires a nonprofit website that accommodates mobile traffic. Mobile friendliness is just one of many important factors that go into successful website development for nonprofits. To learn more about increasing your nonprofit's online presence, don't hesitate to contact us.